U.S. Army Staff Sgt. 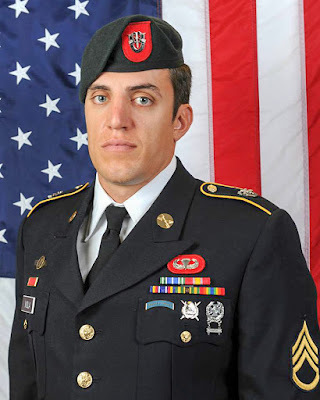 Alex Viola, 29, was killed Nov. 17, 2013, in Kandahar Province, Afghanistan, from wounds caused by an improvised explosive device. Originally from Keller, Texas, Viola was an engineer assigned to the 3rd Battalion, 7th Special Forces Group at Eglin Air Force Base, Florida. He was awarded numerous awards for his service, including the Army Achievement Medal, the National Defense Service Medal, the Army Good Conduct Medal, the Global War on Terrorism Service Medal and the Army Service Ribbon. Viola traveled often and worked out at many CrossFit affiliates. Some of his favorite movements were pull-ups, power snatches and power cleans. He also enjoyed running. Viola is survived by his parents, Margaret and Frank; and his sister, Christina. *Do not rest between jack knives and hollow hold!